DART (Data Acquisition and Reporting Tool) is a software package that gathers data and synthesizes runtime information from Biomek log files to capture each manipulation of the sample during the course of the method. Eliminates time-consuming and error-prone “cut-and-paste” style management of sample data. DART seamlessly organizes data from Biomek liquid handlers, integrated lab equipment and benchtop devices into a single data source. DART database connectivity means sample data can be shared between methods on a Biomek liquid hander, between separate Biomeks, and LIMS systems. Use DART data to automate workflow decision points like hit picking; DART tracks your samples between plates and moves the data history as well ensuring data continuity. 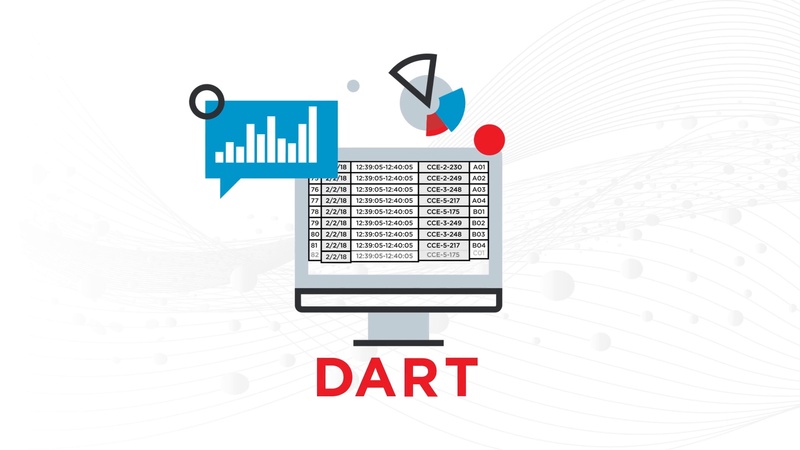 Shorten time to analysis with DART’s fast and easy drag-and-drop report builder. Save data for future use with a native archive tool or interface with your LIMS system. DART is built on an enterprise-scale database for scalable storage and retrieval.